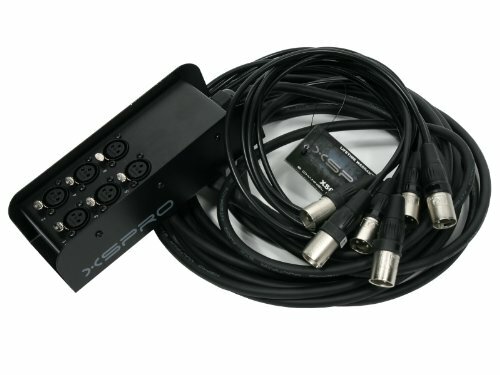 Using PCB technology, XSPRO has developed low-profile stage snakes that leave a smaller footprint on your stage. Each snake features 26 gauge shielded lines with foil shield and a drain wire. Neutrik brand connectors are used on the stage box and Yongsheng Connectors manufactured by Neutrik on the fan out. Every channel and return uses balanced XLR connection for lowest noise possible. XSPRO snakes also come with a cover for both the stage box and fan outs. If you have any questions about this product by XSPRO, contact us by completing and submitting the form below. If you are looking for a specif part number, please include it with your message.